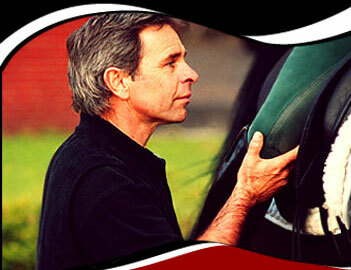 RICHARD WEIS is a leading authority on the influence of the rider on the horse. His students learn balance and to sit well. They learn to move with the horse in such a way as to direct the horse in all elements of coordination; rhythm, bend, impulsion, collection, in the shapes of lateral exercises and changes etc In short, the focus is on DRESSAGE riding TECHNIQUE. Recently, Richard has presented on this enormous subject in lecture /demonstrations and instructor training clinics for the German, Dutch, Australian and New Zealand Equestrian Federations. He presented at the prestigious '03 Global Dressage Forum in Holland, and was Technical Advisor to the judges at the first National Finals of the 'Sit Competition' for the Dutch Association of Riding Schools. In clinics around the world he works with a full range of students, from beginner riders of all ages to Olympians (from five countries) and Paralympians. He has conducted train the trainer clinics at places like the DOKR (German Olympic Training Centre) and the German Riding School where professionals are examined. Much needed clinics for judges are just around the corner. 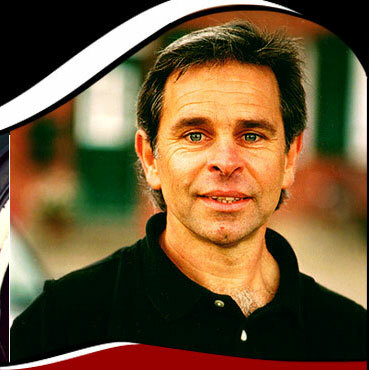 Richards articles and articles about his work have been published extensively in many of the leading Equestrian Magazines- St Georg (Germany), The Horse Magazine & Hoofbeats (Australia), Ridehesten (Denmark), Bit (Belgium), British Dressage (UK), Dressage Today (USA), Johbe Life (Japan), Hoofschlag (Netherlands) and many more. Home base is a small experimental training facility called é¤¤en Farm' in the Macedon Ranges 60ks north/west of Melbourne, Australia. Both Richard and his manager/wife Sally are qualified teachers of the Alexander Technique, an approach to coordination training for people. Sally assists on many clinics, bringing heightened body awareness and improved movement skills to students before they ride. Sally also trains musicians and singers using Alexander skills and her talents as a jazz singer. 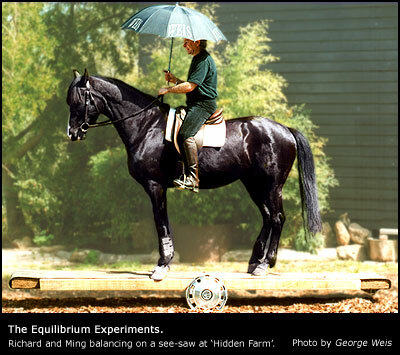 The three Oldenburger horses at é¤¤en Farm' are used in the research and development area. Richard trains them all under saddle, on the longe, in hand, and at Liberty in his efforts to further develop his understanding and ability to teach DRESSAGE riding TECHNIQUE, and DRESSAGE training TECHNIQUE .